A day at the amusement park can be a jam-packed day full of fun for your entire family. The memories you make during a day at the park can last a lifetime and are well worth the effort! However, these days of enjoyment in the park can quickly make a turn for the worse when you are caught unprepared, realize you forgot something important at home, or later when you see the enormous bill! We want your family’s day at the park to be enjoyable to the max, so today we are pulling out 50 of our best tips and tricks for a successful day at the amusement park. 10 Ways to PREPARE for a day at the amusement park. 10 Tips for what to PACK for a day at the park. 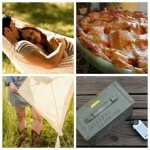 10 Ideas for being able to ENJOY a day at the park to the fullest. 10 Tips for enjoying your day at the park with KIDS. 10 Ways to SAVE MONEY at the amusement park. 3 Free PRINTABLE organizers and checklists. PREPARING FOR A DAY AT THE PARK A day at the park begins long before you walk through the gates. Choosing the right day, buying your tickets, and researching all that the park has to offer are all things that must be done before you even arrive. Here are 10 things you can do, before going to the park, to make sure you are totally prepared for a day at the park. 1. Learn About the Park – Learn all that you can about the park before visiting. Thanks to the internet, you have reviews, tips, and standard information right at your fingertips. You can even do this together as a family and build the anticipation. 2. Research Busy Seasons – If you are flexible in choosing your date to visit the park, take the time to do a little research to know the busiest seasons for that particular park and avoid going at those times. Trust me – it will make for a much better experience. 3. Learn the Policies – Does the park allow you to bring food? Can you carry a small backpack on rides? Is there a cost for parking? Taking the time before you leave home to learn about your park’s specific policies will make for a smooth day at the park. 4. Know the Park Hours – Make the most of your time at the park by knowing the opening and closing hours. Each day might be different, so never assume. 5. Check the Weather – A rainy day can ruin a day at the park. Even if you are not able to adjust the day of your excursion, at least being aware of the weather can help you pack accordingly and may even save the day! 6. Buy Online – Purchasing your tickets online in advance can not only save you time at the gate, but save you money as well! Search around a see what you can find. We are big, BIG fans of Getaway Today around here – they really do have great deals, especially if you are on your way to Southern California. Another favorite source that I use for all things discount is retailmenot.com. They have up-to-date coupon codes not only for stores, but amusement parks as well! 7. Reservations – If the park you are visiting has any type of reservations for shows or restaurants, do it! Never assume you can just take care of it when you get there or you may be very disappointed! 8. There Is an App for That – There seems to be an app for everything now days, and it is likely your park will have one too! Many theme parks have apps that include up-to-date park information and even current wait times. 9. Pack Your Park Bag in Advance – When trying to get to the park at opening hours, the last thing you need to be worrying about is forgetting something. 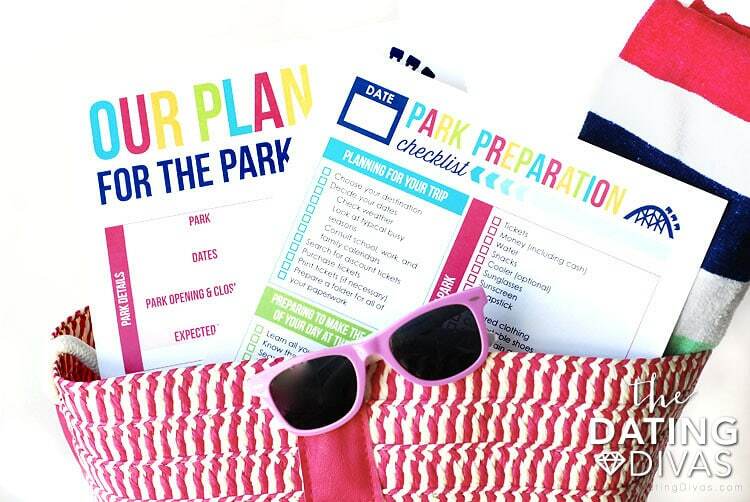 Use our printable checklist to make sure you have everything you need for a smooth day at the park and pack it at least the night before. 10. 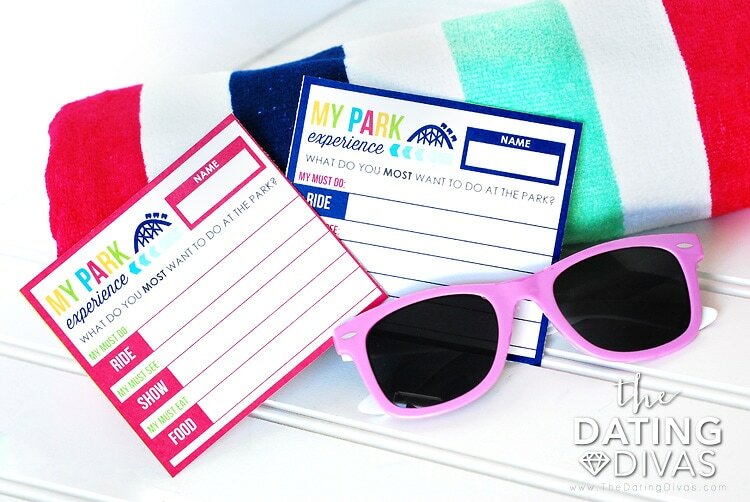 Utilize Our “My Park Experience Request Form Printables” – After researching more about the park, gather everyone’s opinions using our mini-survey printables! Giving each family member a voice and a choice before the park will help you organize your day, and avoid arguments at the park. Realizing you left something important at home when you are stuck at the park can have bad results. You don’t want to be caught without important items. From essential items to convenient ideas, we have 10 tips for what to put in your park bag. 11. Simplify – Bring only the absolute essentials into the park. Your shoulders and back will thank you! 12. Leave Your Valuables – Unfortunately, theft happens, and in a crowded theme park it can be hard to protect your valuables. Let yourself enjoy the day without worrying about something getting lost or stolen by leaving it all at home! 13. Cell Phone Protection – Bring a ziplock bag to store your phone in during the water rides. If you’re looking for something a little more secure, you can try this waterproof case. 14. Water Protection – If you don’t like being soggy and wet after those water rides, consider packing a poncho (like this inexpensive set of 4) and/or an umbrella! 15. Personal Care Items – Entering and exiting a major theme park is not easy, so make sure to pack any personal items you might need. Think about medications, sunscreen, lip balm, and antibacterial hand gel. 16. Good Shoes – A day at the park usually involves a lot of walking. Make sure that you have comfortable shoes for walking. Flip flops are rarely a good choice if there are rides in which your feet dangle. For more support and security – bring your tennis shoes. 17. Water Bottle – Hydration is important for an enjoyable day at the park. I recommend bringing along a refillable water bottle. RTIC and Yeti are great brands that we know, love, and use around here if keeping your water cold is important to you. You can also try something like a Camelbak – I have found I drink a lot more when I have one of those. You will likely be able to refill it at a fountain or a food court for free! 18. Protection from the Sun – Even on an overcast day you can get a sunburn. Make sure to pack sunscreen, a hat, and sunglasses. 19. Layered Clothing – Any day at the park is full of surprises. From weather to water rides, temperatures can vary throughout the day. Wearing layered clothing can help you be more comfortable without having to run back home or to your hotel to change. 20. Cash – We seem to be all about our cards nowadays, but many parks still require the old-school cash. From parking to lockers, you never know when it might be required. Nothing dampers a day at the amusement park like long lines, tired feet, and missing your favorite rides! Here are a few ways that can help you to avoid those pesky aspects, and can help you enjoy your day at the park to the max! 21. Save Time – Purchase your park tickets online to save yourself waiting in an unnecessary long line. 22. Go Early – Arrive right as the park opens. There will be less people and you can get to the most popular rides first. 23. Remember Your Parking Spot – Take a picture of your parking spot location so you don’t forget it after a long day at the park! 24. Avoid Long Lines – To avoid long lines, go to the most popular rides first thing in the morning. You can also skip long lines by going on the big rides during major shows or parades. 25. Take Time to Sit – Make sure you plan times in your day to rest and relax. Watching a show or a parade is a great way to enjoy the park while getting off your feet! 26. When to Eat – Eat during the busiest or hottest times of the day. This gives you a break and avoids extra long lines! 27. Park App – Many theme parks have an app with current wait times to help you strategize your next ride choice. 28. Single Rider Option – Consider trying the single rider line, even if you aren’t riding alone. You still get to wait with your friends/family (in a MUCH shorter line) and you often still get to ride at the same time. 29. Save It ‘Til the End – If you want to play games or purchase souvenirs, wait until later in the day. Remember, whatever you get, you will have to carry it around all day. PLUS – if you get lucky and win that giant stuffed unicorn, it isn’t going to fit in a locker. 30. 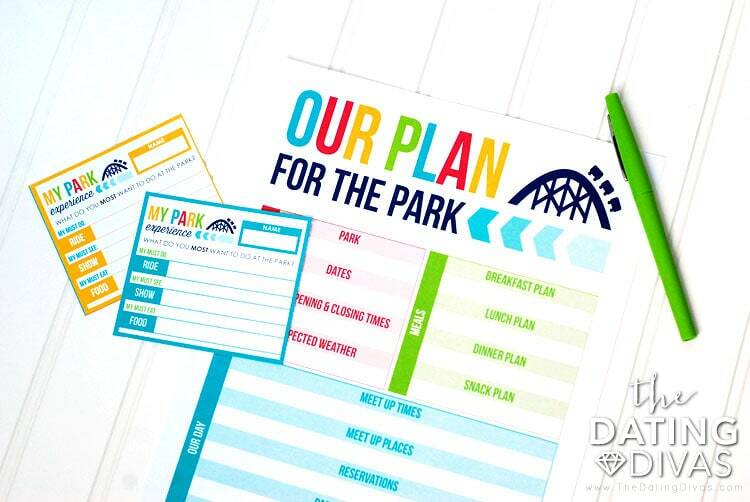 Sticking to the Plan – Use our printable park plan to organize your day. Stick to the plan as much as possible to make sure everyone gets to experience their “must-do” list. A day at the park can be exhausting in itself, but a day at the park with children – sheesh! The lines, the walking, and all of the excitement can potentially be a recipe for disaster. If you are braving the amusement park with kids, you will want to read up on these tips to help you make the day successful! 31. Height Requirements – Measure the height of small children and research height restrictions in advance to avoid disappointed children. 32. Phone Number Access – Write your contact phone number on your child’s wrist or inside their shoe in case they get lost. These temporary child ID tattoos are great and we can’t recommend them enough! 33. Meeting Spot – Designate a central meeting spot for times for when your group splits up, or for if someone gets separated from the group. 34. Child Swap – Ask about the option of child swap. Many major theme parks will allow parents to take turns riding the ride while the other parent stays with the child. 35. Stroller ID – If you’re bringing a stroller, add something unique to yours (a colorful tag or a bright blanket) so you can easily spot yours among the many other strollers. These are cute and would do the job well! 36. In-Line Entertainment – You likely will spend a lot of time waiting in lines (even with our tips) so bring along some entertainment. Small items like a Rubik’s cube or a comic book work well. Think of some simple games like “I Spy” to play while waiting. 37. Take a Picture – Before you leave for the park, take a picture of your kids. Should your child get separated from you during the day, it is very helpful to be able to show a picture to those helping you search. 38. Know the Limits – Consider how much time you should be spending at the park depending on the age of your child. A long day at the park can lead to a cranky child which means a bad experience for all! 39. Take a Break – For smaller children, a long, full day at the park can be especially tiring! Consider planning a break or nap during the middle of the day. Not only is this the busiest time of the day (long lines – ugh! ), but a break will give everyone a chance to return with renewed energy. 40. Split Up – If traveling with adults and kids, consider splitting up. If you take the kids in the morning, perhaps your spouse takes them in the afternoon. This could avoid forcing older children to be dragged around to the “kiddy” rides. A day at the amusement park can rack up the bills faster than the quickest roller coaster in the park! But there are ways to save big time! Don’t get caught spending more than necessary with these 10 tips to save money! 41. Buy Merchandise Outside the Park – Inside park souvenir prices can be, well, pricey! Often the local Walmart in the area or online will get you much better deals, so buy those t-shirts and glow sticks before you go! 42. Bring Snacks – Park food can be ridiculously expensive. If the park allows it – it is worth it to bring along a small backpack with water bottles, granola bars, and fruit snacks. 43. Have a Picnic Lunch – Similar to packing snacks, it can be just as easy to pack a few sandwiches. Some parks even have a nice picnic area for families. If you have a large family, this can really save you money! 44. Bring a Water Bottle – Even a bottle of water can get costly inside the park. If you bring along your own water bottle, you may be able to fill it at a drinking fountain or some park food courts may even fill it for you. See #17 on this list for some great recommendations! 45. Set a Limit – Before even entering the park, make sure you communicate how much will be spent on souvenirs (if anything). A simple “everyone gets ONE special treat” or “you have $15 to spend” will help set limits and (hopefully) avoid tantrums. 46. Eat Before – Before you head out of your home or hotel, fill up with a good nutritious breakfast. The goal is to avoid having to buy food inside the park as much as possible! 47. Selecting Your Dates – Choosing to visit the park during the off season may result in cheaper tickets AND shorter lines. Do your research to know when the less busy times are and you may find that the park offers incentives during those dates. 48. Utilize the Cooler – If the park you are visiting doesn’t allow food in the park, one way to still avoid the high food prices is to pack a lunch in a cooler like this and leave it in your car. During a busy time of the day when the lines are long anyway – you can exit the park and enjoy a picnic in the car. 49. Multi-Day Passes – Consider looking into multiple day passes to your park. Often the difference in adding an extra day is minimal and worth it in the long run. Or, if you live in the area it might be worth buying a season pass. After 3 or 4 times to the park, the rest of your visits may be practically free. 50. Discount Tickets – Take time in advance to search out deals! You may be surprised to find discount tickets for your park at several different locations, such as your employer, your AAA membership, Costco, and more! And again – we really love Getaway Today! They have tons of great discounts! You can even use the promo code DIVAS at checkout, which is good for $10 off a Southern California vacation package that includes a 2 night hotel stay and at least 2 tickets. 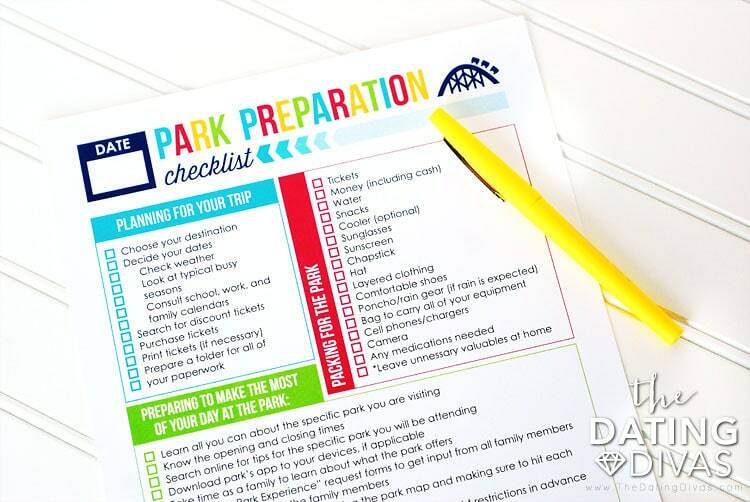 To help you make your day at the park a success, we have created 3 super helpful printables to help you stay organized! 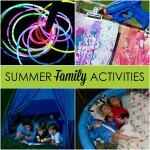 You can thank the talented Erin from darling site strawberrymommycakes for these free printables! She has such an eye for color! Her designs are always eye-catching and unique! Don’t be caught unprepared! Everything you will need – in one convenient location. When packing your park bag, use this checklist to make sure you don’t forget anything. Use our printable surveys to find out the park priorities for each member of your family. What ride do they most want to do? Which show do they really want to see? What treat do they want to eat at the park? Avoid disappointed faces and arguments at the park by knowing exactly what each person really wants to do in advance. Once everyone fills out their surveys, use our tally sheet to keep track of everyone’s top requests. Finally, organize all of your plans for the park in one place, including the group’s preferences plus park hours, plans for meals, reservations and more! 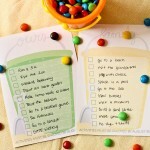 With all of these tips and tricks, along with our printables, you are set for a fun-filled day at the amusement park! 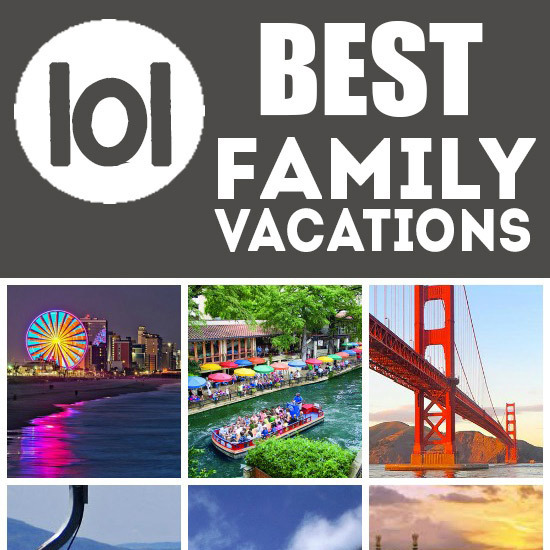 If you haven’t decided on a destination yet you should check this collection of over 100 of our absolute favorite family vacation destinations – including many amusement parks! To build the anticipation for the big amusement park day - you can make a Vacation Countdown! 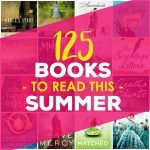 125 Books to Read This Summer! 40+ Photography Tips and Tricks! Great tips! We are going to try to go to Carowins, the local amusement park here this summer sometime- I will be MUCH more prepared now! 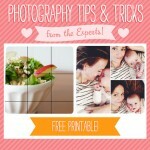 These tips are GREAT!!! Thank you, Sarina!! My favorite ideas is buying souvenirs outside of the park before hand! What?! SO smart!! Thanks for your useful and interesting collections! WOW, you give me so many great tips to get a successful amusement park travel! It can my my trip to all amusement parks more fun and happier! You are so nice, Sarina! You made so comprehensive collections! Thank you for your kind words! We love to hear when you enjoy our posts!